AP faces a shortage of currency that is not in the country. Specifically, the two thousand rupees note will not be circulation in the market. The bank's repayment of the note is deductible. The currency difficulties are peak in AP. The Reserve Bank says that after 99 percent of the currency was printed on the scrapping of the banknotes, the elderly wanderer became a mystery. At least 50,000 rupees are not given to banks for those who wish to be Rs. 1 lakh. ATMs are also no cash boards. 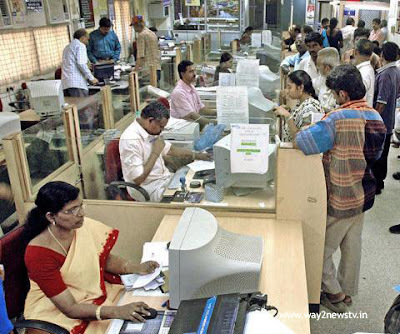 Many people are pandemonium for money in banks. Now, the central government is not taking action even if it is headed to AP Government. The main political parties are prepared to deliver two thousand votes to vote in the forthcoming elections. Analysts believe that two thousand rupees in this background are not going back to banks. This means that the artificial shortage of money can be created. Analysts. And the center should wait for what the Reserve Bank is going to do.